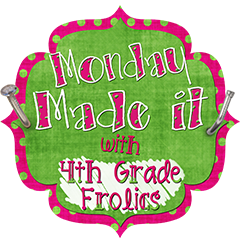 Confessions of a Teaching Junkie: Monday Made It! I ran out of polka dot duct tape in the middle of making my big baggie quilt, so I got around to one of the projects that has been on my list for a while. I got his wonderful FREEBIE from Jen Runde over at Runde's Room. 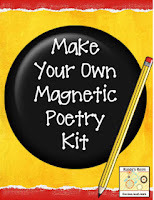 I wanted to have a way to use it during Reader's/Writer's Workshop. I will laminate these before I stick them to the containers, but my laminator is at school. Click here to download a copy of the labels. 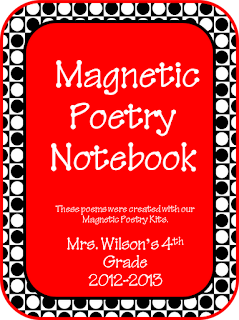 be added to and melded as the kids work on it. and will post a pic when I finish it. I also worked on individual white boards, a project from Classroom DYI. If you missed it, you can see them here. These are great projects! 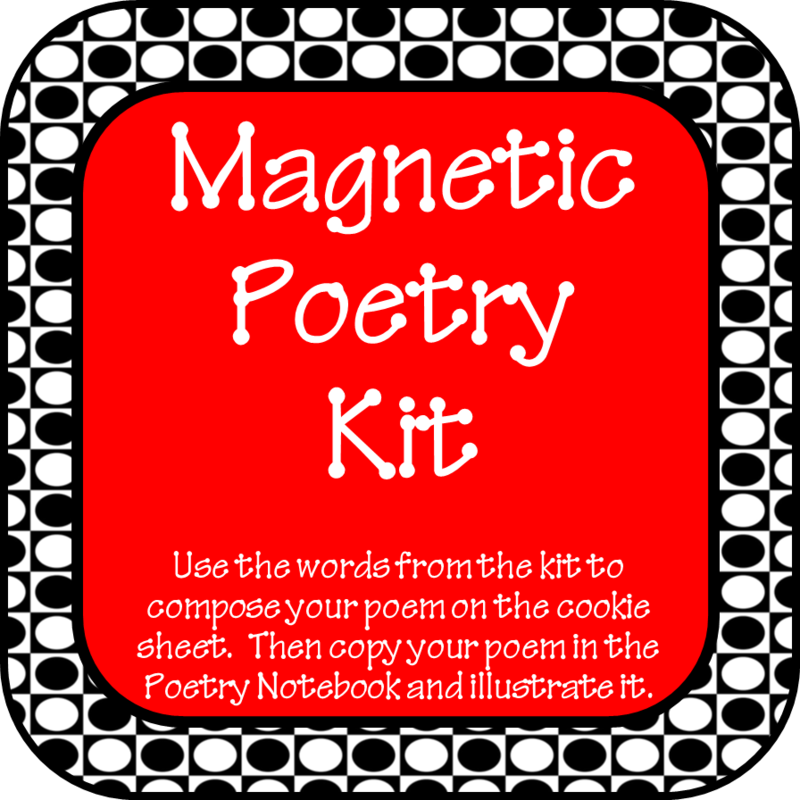 I know your students will love using them! Love the magnetic poetry - and love that you keep the completed poems. I have to snag this idea for my classroom! I love the individual white boards, what a cute idea! 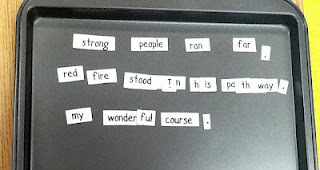 The magnetic poetry is too cute. 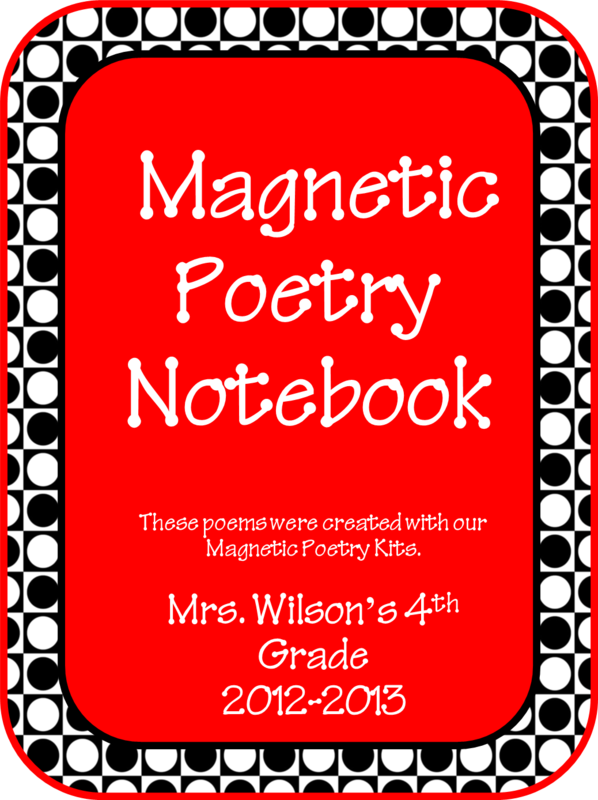 Then you can really hone in on the words that you would like your students to use too! Great idea! I am your newest follower, found ya over at the linky! 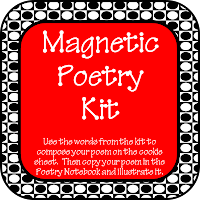 I could not find the link to the words and poems...is that what you got from the other site? I would love to do this!!!! !